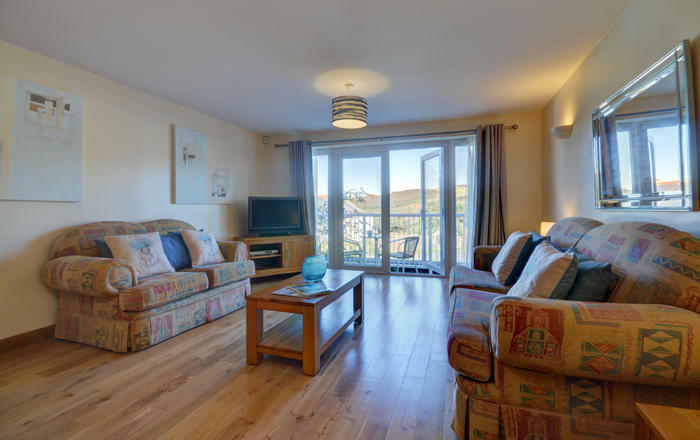 Two miles inland from the broad sweep of Slapton Sands and the freshwater lagoon of Slapton Ley and tucked in a peaceful, pastoral fold of the rolling hills of this lovely area of the South Hams, is Little Pittaford. 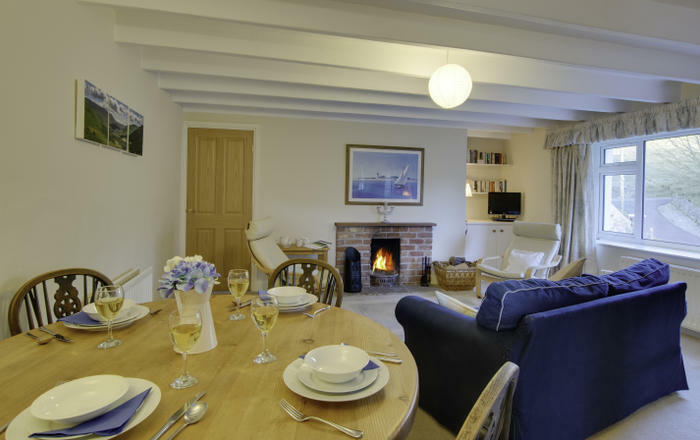 Attached on one side, the cottage, formerly a barn, has been totally renovated to a very high standard and offers guests exceptionally comfortable, attractive and welcoming accommodation in surroundings which take you away from today's hustle and bustle. 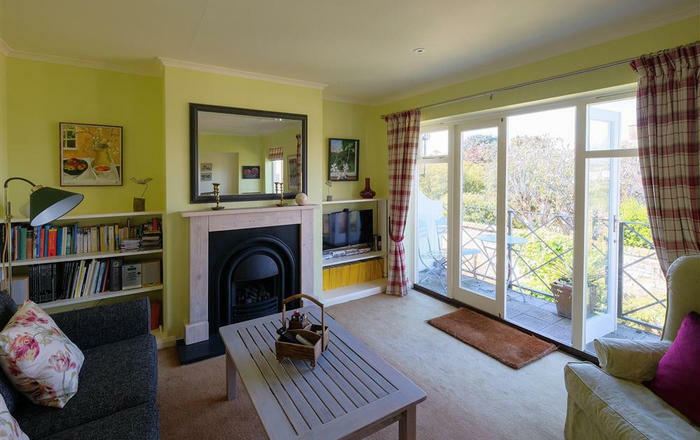 The front door leads out from the living room to a private patio area where a quiet sun downer and al fresco dining can be enjoyed whilst overlooking beautiful gardens and surrounding countryside. Doorstep walks along lanes and public footpaths lead through the National Nature Reserve along board walks and on down to the sea. Welcome pack provided. 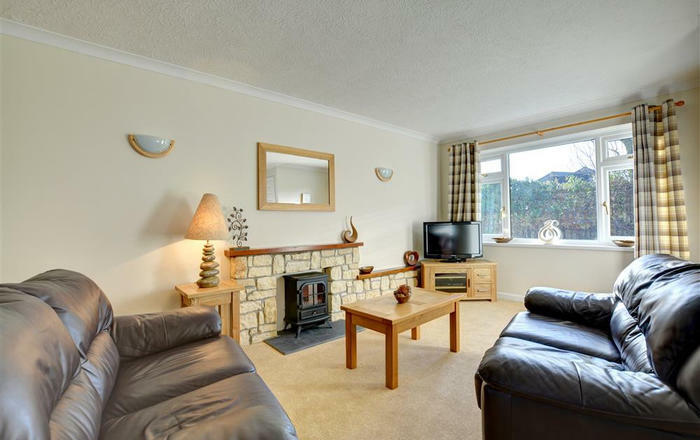 Door from the garden opens directly into the living room that has a polished wood floor with rugs and is comfortably furnished with a three seater sofa, armchair, flat screen TV/DVD, radio/CD with iPod/MP3 dock and dining table. 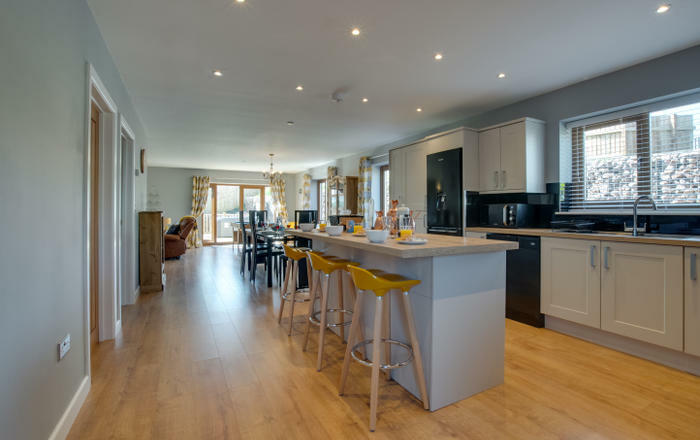 The kitchen area, very well fitted and equipped, has an electric ceramic hob, built-in electric oven, microwave, fridge, freezer and washer/dryer. Stairs to landing. 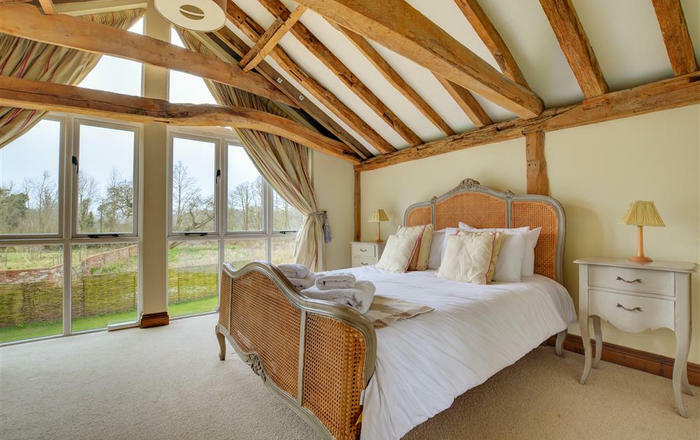 The delightful bedroom has garden views and is comfortably furnished with a 5ft double bed. Newly refitted bathroom with bath and electric shower over, basin and WC. 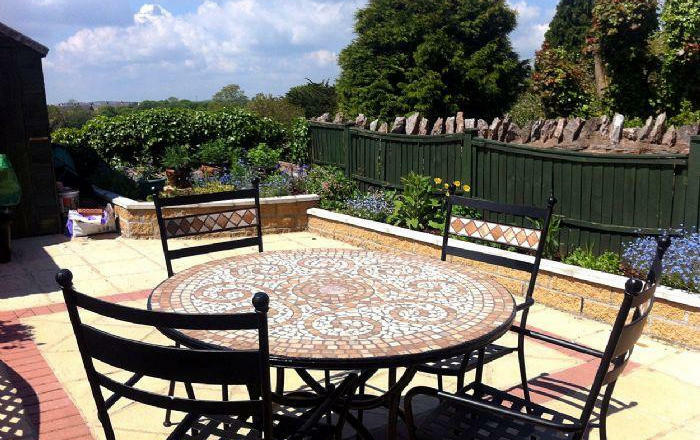 The property sits alongside a quiet country lane off which is a parking bay. From here a gate leads to the front door of the cottage with a private enclosed patio area, screened by a profusion of plants and provided with table, chairs and barbecue. The owners' garden (not for guests use) extends out in front of the cottage and a pretty brook edges the garden. Parking: Bay for one car. 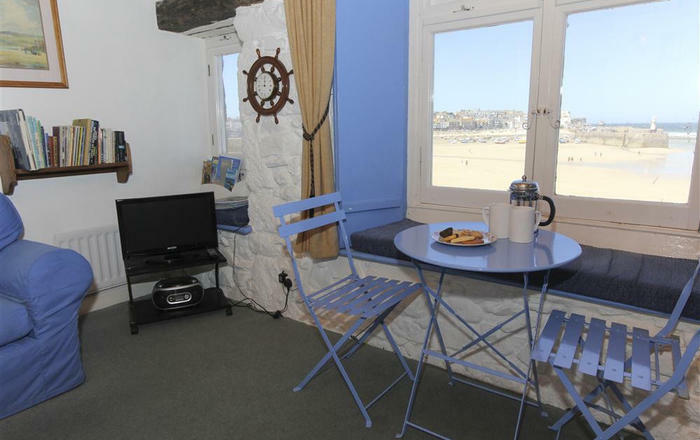 Included: Bed linen, towels, WiFi, hairdryer, electricity and central heating (oil). Local Facilities: Two pubs and shop in Slapton 1.25 miles. Beach 2 miles. Kingsbridge 7 miles. Dartmouth 7 miles. Golf at Thurlestone 10 miles and Dartmouth 8 miles. Please note: Little Pittaford does not allow pets, however The Dog Lodge is just a short walk up the lane from the cottage. Your pet can be housed here, visited and taken out for walks or days out, so there is no need to leave that special friend behind.